This CrossFit shoe review is about Inov8 F-Lite 195 from Inov-8 Flite series. The shoe is a product from a British company that specializes in off-road running shoes. Shoe is one of the lightest and the most flexible shoes availbale. In fact, since it’s launching in 2003, Inov8 F-Lite 195 becomes one of the most popular and fastest growing shoe brands in the United States. 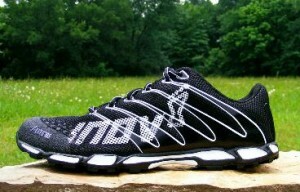 From shoes to hydration packs, inov-8 products are designed to complement human body’s normal functions (biomechanics). The shoes are suitable for crossfit routines and daily workouts with its reliable athletic gears. Furthermore, it’s one of the most trusted brands in terms of durability and comfort. 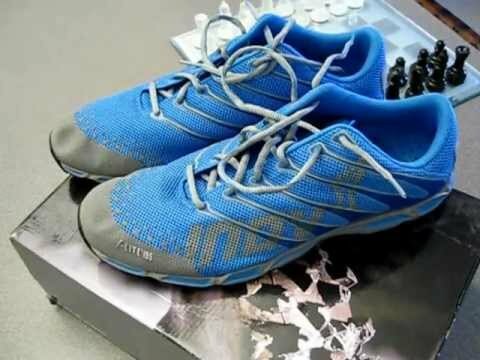 Inov8 F-Lite 195 is suitable for minimalists. Although its features are not identical with X-Talon 190, Inov8 F-Lite 195 crossfit shoes are capable of catering the needs of the elite runners who are looking for extreme levels of proprioception and normal position of the feet. It has a number of high quality features that ensure the maximum comfort and safety of your feet. With its heel and forefoot gap of 3mm and 3mm foot bed, Inov8 F-Lite 195 crossfit shoes will keep your feet closer to the surface while keeping its stability and normal position. Inov8 F-Lite 195 has a meta-flex channel that is carefully aligned leading the metatarsal heads to create a normal fore-foot flex. The webbing support of the shoes is positioned specifically to cradle your fore-foot for a more reliable foot hold. It’s capable or increasing the propulsion and reducing foot fatigue. It has dual arrow midsole feature and mid-level cushioning that are usually used for working out. It features TPU lacing support feature and attached polymer supports on its upper areas that will cradle your feet evenly. The shoes are suitable for both genders (male and female athletes). Its sticky rubber material supports the soles in gripping specially during rainy days. Therefore, you can choose your desired color according to your sense of style and fashion. In fact, a number of customers are particularly attracted to its colors and designs. Inov8 F-Lite 195 shoes are recommended by a number of crossfit athletes and professional trainers. They are highly satisfied with its overall performance and features. However, there are some customers who don’t think this way. Some athletes not totally satisfied with its durability. For them, because it’s a super lightweight shoe, there’s a possibility to wear the material or it will not last longer compared to other shoe brands like Nike. 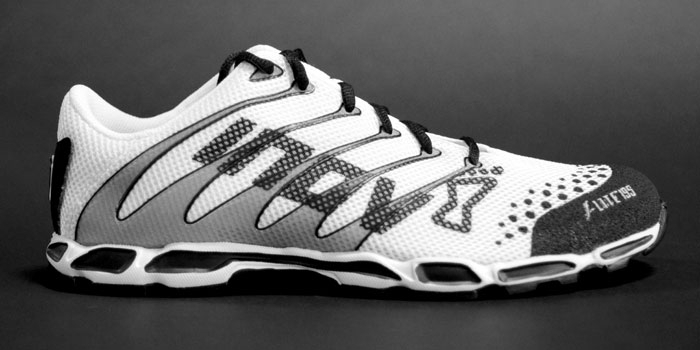 But, for users who have proven the capabilities of this crossfit shoes, Inov8 F-Lite 195 is a worth it investment. Therefore, if you are looking for crossfit shoes that are made from reliable manufacturers and are capable of securing the comfort of your feet, Inov8 F-Lite 195 is worth a try. It is one of the lightest shoes currently available in the market. The mesh remains dry even after a long run. These shoes will force you to use your calf muscles, so be warned, your calves may fuss a bit as a result, unless you are really accustomed to minimal shoes.